Possible introduction of sharia court in Russia deemed provocation | Russian Legal Information Agency (RAPSI). MOSCOW, April 25 - RAPSI. Experts have found attorney Dagir Khasavov's appeal to introduce a sharia court in Russia to be a provocation. 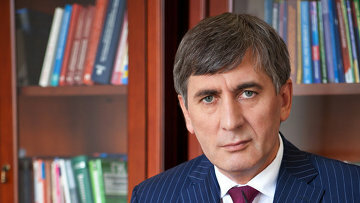 Khasavov spoke of the necessity to introduce the court in an interview with a local TV station. He said the Muslim community will establish its own rules and blood will be shed if obstacles arise. "Obviously, this is another provocation," Abdul-Vakhed Niyazo, adviser to the chairman of the Russian Mufties Council, told RIA Novosti. Sharia courts can be introduced only in a religious country and Russia is a secular state, Albir Krganov, a member of the Russian Public Chamber and a Moscow mufti, told RIA Novosti. The Interior Ministry is reviewing the interview for possible signs of extremism. The Russian legislative system does not provide for religious courts. 18:09 25/04/2012 Experts have found attorney Dagir Khasavov's appeal to introduce a sharia court in Russia to be a provocation.